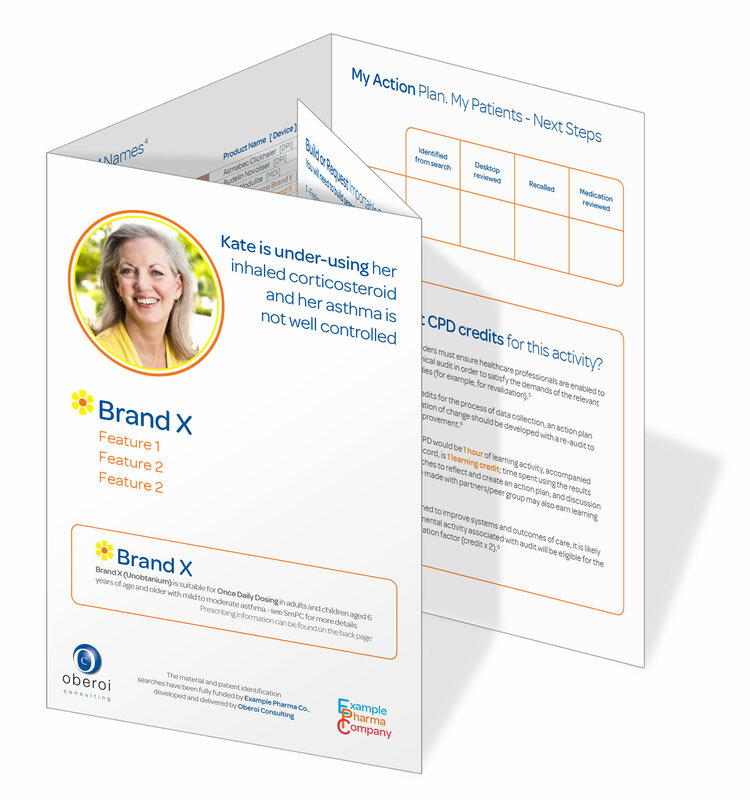 When a clinician has made the decision to use your brand, often it is new patients who get prescribed the new treatment of choice. Patients currently being treated are often caught in a repeat prescribing pattern. We can provide you with a resource that enables a clinician with a simple and efficient way to identify patients who may potentially benefit from a therapy review and may benefit from their current treatment being optimised. We build the searches to identify specific types of patients that sit within the licence indication of a brand, hence the numbers of patients will be small manageable size numbers which reduces the impact on clinical staff to review patients. This resource maybe delivered either branded or unbranded, the choice is yours.